 Healthcare Informatics and Bragging Rights - ONRAD, Inc.
DiagnosticImaging | Despite the renewed attention, information technology (IT) continues to be a comparatively low spending area for healthcare. In the U.S., healthcare providers spend 2 percent to 3 percent of their operating budgets on IT, which is significantly less than other industries such as banking and finance. The huge budgets that providers need to reserve to other, non-IT items might be one reason for this discrepancy, but one can still consider that healthcare IT investments are well below the level where they could be. However, this dismal reality might be about to change. Caught for the first time in the middle of a federally mandated stimulus plan (the HITECH Act), U.S. healthcare IT has been brought to center stage. A quick look at this year’s list of top 100 HIT companies compiled by Healthcare Informatics, makes it obvious that almost every healthcare IT company has experienced positive revenue growth in 2008, 2010, and even in 2009 at the peak of the recession. By simple logic, if HIT companies’ revenues grow and the number of providers remains stable, then it must mean that providers’ IT spending is up. Traditionally, as a result of the low priority for IT spending, most cross-industry technology transfers have been one-way into healthcare, and very rarely out of healthcare. In the typical scenario, healthcare adopts new IT only once it is already widely used in information and communication technology (ICT), and after it has demonstrated a solid business case and positive track record in this and other industries. Cloud computing illustrates well this scenario, as we witness a de facto technology for ICT only now starting to pick up within healthcare. Now with IT budgets rising, counterexamples of this scenario might become more commonplace. One interesting example I demoed recently is a new technology platform from a small Canada based imaging informatics company called Calgary Scientific. PureWeb, the company’s latest “Web enablement” platform, is one of those technology innovations that was born and bred in healthcare that might actually make it out of healthcare and into other industries. PureWeb was generated out of the medical imaging market’s demand for anywhere-anytime access to images and related applications as well as for more mobility and more collaboration tools. Since this client-server solution was designed to work with very image intensive applications (picture a fly through heart vessels using the raw-data of a volume CT! ), it can achieve real-time interactivity and high performance even for these kinds of applications. Such is not the case for the desktop virtualization solutions (VMWare, Citrux, etc. ), currently the standard outside of healthcare. With this technological breakthrough on hand, Calgary Scientific has been eyeing industries beyond healthcare such as aerospace, retail or gaming, where the platform is already getting traction. PureWeb was recently deployed as part of an aerospace project and was a top five finalist in PricewaterhouseCoopers’ (PwC) 2011 inaugural Vision to Reality Awards (and to think of what an online poker table “powered by PureWeb” could look like) is making me wonder… is healthcare on the route to earning more bragging rights?